Fresh out of university/college and entering the wonderful world of software testing? 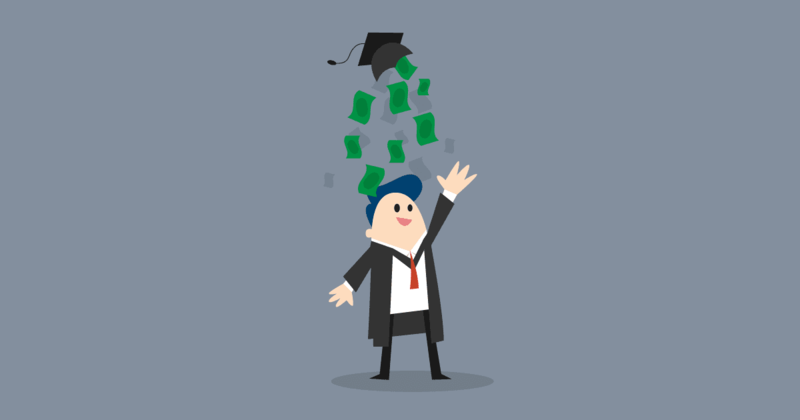 Jon lays out salary expectations for freshers who are just starting out in the industry. What can you expect to get paid during your career's early days? Back in 2009, as I was desperately trying to get out of my call centre job, supporting customers of a well-known computer retailer, the only filter I applied to my search was the ‘IT’ category. I knew I wanted to work with computers, but that was it. Low and behold I saw an advert for a ‘Junior Software Tester’ role. I read the job description and thought it looked alright so I applied, interviewed and was offered the freshers role. The problem was that I had no idea what a fair salary looked like for a beginner in software testing. I was on £12,000 (c. $15,500 at the current exchange rate) at my call centre job, and I’d been offered £15,000 (c. $19,000) for the testing role. It felt like I was getting a great deal. In hindsight, I was probably being a bit of a sucker and should have asked for more, but how was I to know? Well, quite easily actually. There is plenty of data out there about average salaries and information about what you can expect, even if that data is in the form of past and present job adverts online. You should always go into these things fully researched and with an idea of your expectations. If you look at the current salary trends, for example, you can see that the average salary for a junior software tester is around £25,000 (c. $32,000), ten thousand pounds more than my initial salary. It’s worth adding though, that I didn’t have a degree and barely even knew what software testing was, so I was probably lucky to get the job in the first place. That said, it’s also worth mentioning that, as with any career, it’s often more important to get your foot in the door in the first place to concentrate on getting the best salary from day one. I may have started on £15,000 but that doubled within a few years. The potential salary should be factored into your considerations (the average salary of a Test Analyst is £35,000 / c. $45,000), but not drive them. You should have a clear minimum in your head of what you’re willing to expect, and be able to justify that to any potential employer if you are asked to. If you’re lucky, someone in the same role will have posted their salary on Glassdoor for reference. However while that website is still in its infancy, you’d be very fortunate to find anything connected to your new, potential employer, but it’s worth a check though, especially as the site’s popularity grows. Your existing skill set will likely be the biggest factor when it comes to your starting salary in the industry. The more varied experience you have with devices (PCs, tablets, smart phones etc.) and operating systems (Windows, MacOS, Linux etc. ), the better you’re going to do when it comes to manual testing. This is because it shows not only that you have an ability, but also an interest in learning learn new things. If they’re looking for someone to pick up a more technical task, like test automation, performance testing or ethical hacking, then coding experience will massively increase not only your chances, but your starting salary too. This experience can be either from formal training, like a colleague or university course, or it could be just from learning/playing in your spare time. In fact, even if the role you are applying for isn’t initially a technical one, having some level of technical background or skill set can make a massive difference to your starting salary. It shows a technical understanding and a commitment to the software industry. The same can be said for certifications. Something like the ISTQB foundation level is a relatively affordable exam and there is plenty of free or cheap training material available in the form of books, online training courses or free websites. It’s no substitute for experience, however like learning some code, it shows a commitment that can set you apart from other applicants, and can give you that much needed boost. The starting software testing salary for freshers and junior roles can vary wildly, so it’s all you can do to consider carefully how much you’d be happy to take, bearing in mind your current skillset, technical background, and potential future earnings. But don’t let yourself be taken for granted or sell yourself short. If you know you can do a good job, then that’s justification enough to negotiate for a more suitable rate where possible. Note: GBP-to-USD exchange rates taken (and accurate as of) mid-August 2017.